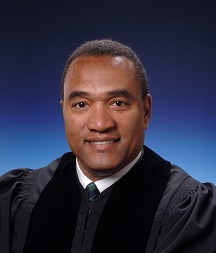 Judge William Mallory graduated valedictorian from Taft High School of Cincinnnati in 1976. He graduated from the University of Cincinnati with a degree in Political Science in 1981. He earned his Juris Doctorate degree from Salmon P. Chase College of Law in 1986. After graduation from law school, he began his legal career as an Assistant Attorney General for the State of Ohio. Judge Mallory later became an Assistant Prosecuting Attorney for the City of Cincinnati. In 1989, William left public service and went into private law practice with the labor law firm of Kircher and Phalen. William worked in the areas of criminal law, personal injury, probate, business law, liquor law, administrative law, juvenile, and family law. In 1993, William was elected Judge on the Hamilton County Municipal Court. He served until 2006. Judge Mallory also served on the Board of trustees of the Association of the Municipal/County Judges of Ohio. He also served as president of the Chase Law School Alumni Association. William Mallory was elected to the Hamilton County Court of Common Pleas in 2006. He served there until he was appointed as the first African-American judge on the Hamilton County First District Court of Appeals of Ohio. Judge Mallory was elected to the Hamilton county Municipal Court in 2011. He currently serves on the Board of Directors of the Dan Beard Council of the Boy Scouts of America. William has served as a judge of the Jack Grosse Moot Court competition at Chase Law School 2011, 2012 and 2013. He also served on the panel for the selection of the Harry S. Truman Foundation 2011, 2012 and 2013 Award recipients for Ohio, Kentucky, and Indiana. He is a member of the American Judges Association and the Association of County/municipal Judges of Ohio.